Researching magazines, blogs and other social media for wedding guidance can be time consuming, repetitive and overwhelming. Likewise, obtaining limited services from a professional wedding consultant can also be a challenge. Encounters offers the perfect solution for couples who wish to do their own leg work. Encounters provides advice, guidance and education for all your wedding planning needs. This service will enable you to communicate with our experienced wedding consultants via email, phone and fax. Instead of relying on general information, Encounters will address your own specific needs, questions and concerns. Live or frequently travel out of town. Wish to experience the entire wedding planning process independently. Want a reasonable alternative to full service wedding planning. Add reassurance to your decision making, and enjoy the stress-free wedding celebration you have always imagined! This service does not include on-site coordination. Please contact us for more information regarding Encounters services. What exactly do I get with Encounters DIY service? You will have direct access to one of Encounters professional wedding consultants via email, phone and fax. Our consultants will be available to problem solve, answer questions and offer support based on your specific wedding needs. What is the difference between your DIY Support and other Encounters services? Basically our time. Encounters DIY support offers advice and guidance while you perform your own legwork. Creating and providing budget and timeline schedules. Scheduling and attending vendor meetings. Reserving selected vendors and negotiating their fees. Updating and confirming wedding itinerary with vendors. Providing of design logistics to include seating chart, floor plans and activities flow. Coordinating your rehearsal and ceremony. Attending to on-site reception management. How do I get started with Encounters DIY support? Easy! First sign up with Encounters DIY Support using Visa, MasterCard, American Express, Discover or eCheck. Update us on the current status of your wedding plans using Encounters consultation form. Contact Encounters via phone or email to discuss your wedding planning needs. When is the best time to contact Encounters? Emails may be sent anytime. Phone calls are generally accepted between 10am-7pm EST. However we are very flexible and will happily schedule an appointed phone conversation outside these times. If you do not receive an immediate response, we will make every attempt to respond to your phone call or email within a 24 hour period. Is there a limit on the amount of emails or phone calls? Our typical DIY client sends about 50 emails and averages 3 hours of phone conversation (not including initial consultation). We’ll use this as our guide, but we are very flexible. If it turns out I need more help, can I hire Encounters for additional services? Absolutely! 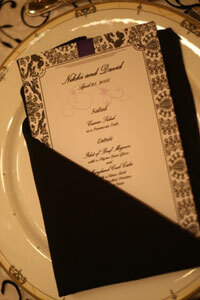 We customize our service to fit your wedding planning needs. Please contact Encounters to check our availability and discuss how we can further assist you. Will Encounters DIY Support be available on my wedding day? Although we would be happy to assist you, unfortunately we cannot guarantee availability of our services on your wedding day. There is a possibility that all of our coordination services have been fully reserved. If you wish to have Encounters coordinate your wedding, please contact us and check availability before signing up with Encounters DIY support.